Being a drone pilot often means being stuck behind the controller with out ever really being able to be in shot. If you are, it’s usually with the controller; which makes the shot look less cinematic and professional. This is where the follow me function comes in, it allows the pilot to easily record tracking shots, without having to control the aircraft. 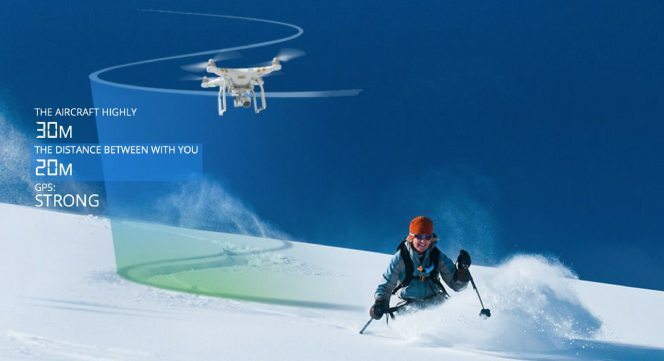 In this article, we’re going to be looking at the 10 best drones with follow me functionality. The follow me function is where a drone is able to autonomously track a target, without having to be piloted. This is great for a number of reasons. Firstly, it lets the pilot get in front of the camera for a change. I don’t know about you, but when I end up looking through my footage, I find myself wishing that I were just in a couple of those awesome shots. Secondly, if you’ve ever tried tracking someone with a drone, it isn’t quite as easy as it sounds. If you’re drone isn’t calibrated properly or you’re not that experienced of a pilot, it can prove quite tricky. That’s where the follow me function comes in. It allows pilots, even if inexperienced to capture some smooth and great looking tracking shots that are sure to impress. Before we get into our list, it’s worth mentioning that the follow me function usually comes on more advanced level of drones, so expect for these to be pricier than toy grade quad copters. That being said, we’ve tried to cover as many as possible, to provide you with a range of options at different prices. Now, lets take a look at the 10 best drones with follow me. First on our list of the best drones with follow me is the DJI Inspire 2. Now this is a professional standard quad copter, used around the world in an array or industries. All though costing a small fortune, it is undoubtedly one of the best drones with follow me and if you have the budget, worth the investment. The Inspire 2 has two camera options and for the purpose of this article, we’ll be looking at the X4S camera. This is able to shoot up to 5.2k, in 4k at 60 fps and is stabilised by a 3-axis gimbal. The drones’ intelligent batteries provide it with a 27-minute flight time and can reach a maximum distance of 7km. 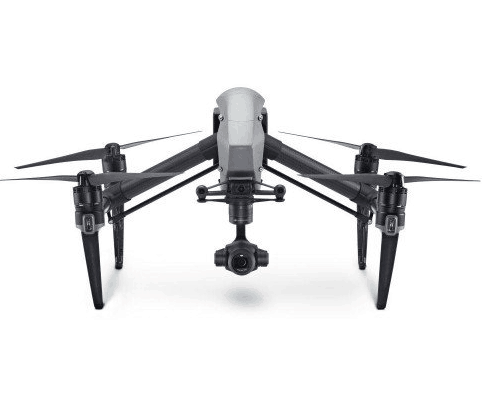 As well as the follow me function, the Inspire 2 comes equipped with an array of professional standard functions that make it one of the best drones around. The drone can be controlled by 2 remotes, one to control the camera the other to control the movement of the drone. Next up on our list of the best drones with follow me is the DJI Mavic Pro. The Mavic is an extremely impressive drone with a compact design and a range of high quality features. The drones’ rotor arms are able to fold in to its body, reducing it to just 8.3cm wide. 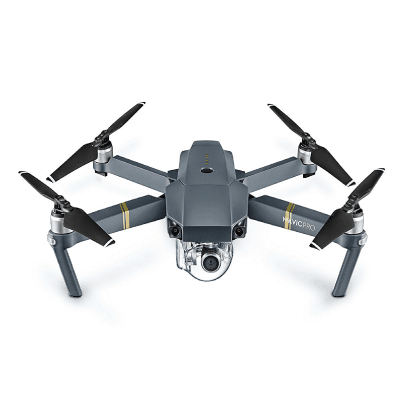 This makes the Mavic Pro the ultimate follow me drone for those of you who are travelling and are looking for a compact quad copter. 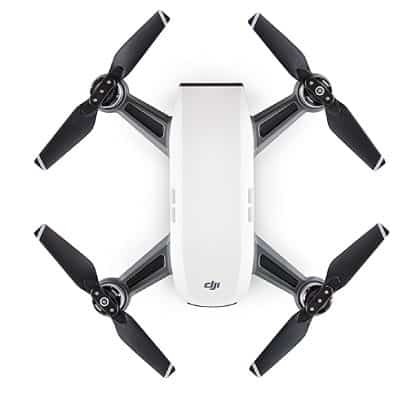 Although small, DJI have packed the Mavic full of features that make it not only one of the best drones with follow me, but one of the best drones around today. Its camera is able to shoot in 4k at 30 fps and 1080p at 96 fps and it attached to a 3-axis stabilisation gimbal. The Mavic boasts some other pretty impressive features such as point of interest mode, waypoints and tap to fly. It also posses the more basic functions such as auto take off and landing and one key return to home. Its intelligent 3830mAh batteries provide the Mavic with an impressive 27 minute flight time and can reach a maximum distance of 7km. Which, to be honest, you’re not going to find better anywhere. Update: DJI have released the DJI Mavic Pro Platinum, which has a longer flight time of 3-minutes and is 4 decibels quieter. You can get the Mavic Pro Platinum for just $100 extra, check out our full review here. Now moving onto the DJI Phantom 4 Pro. At the time of writing this article there are currently two versions of the Phantom 4, the Professional and the Advanced. 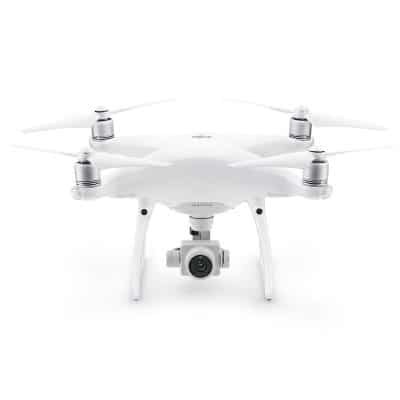 In this article we’ll be focusing on the Phantom 4 Professional. The Phantom 4 Pro has an insane flight time of 30 minutes (by a spare battery and you’ve got an hour of air time) and a maximum range of 7km. These specs are absolutely incredible and allow the pilot a lot of freedom when in the air. DJI describe the Phantom 4 Pro as “flying made easy”, lets take a look why. Not only are the Phantom 4 Pros specifications insane, but it’s also crammed full of features that make it such an awesome drone. With auto take off and landing functions and an array of autonomous flight modes, the Phantom 4’s great for beginners who aren’t comfortable doing this themselves. The P4’s autonomous flight modes include follow me, point of interest (POI), waypoints, gesture mode and draw. ​Now I’m not going to go into what these do as we’re focusing on the follow me mode, but for more information you can check out the DJI website. ​Its camera is able to shoot at 4k at 30 fps and 1080p at 120fps, which means you can get some seriously awesome looking slow motion shots. 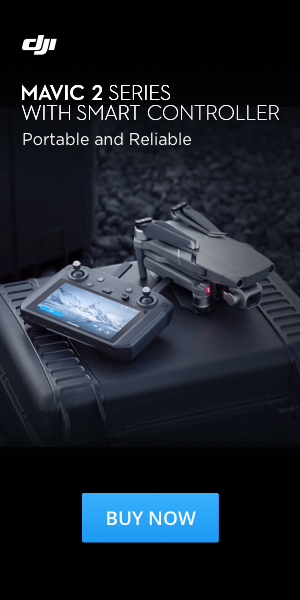 As with most DJI products, the camera is attached to a 3-axis gimbal stabilisation mechanism that keeps the camera level during flight, resulting in extremely smooth shots. If you’re new to flying and are looking for the best drone with follow me for beginners, then the DJI Spark is probably your best bet. This is DJIs latest release and provides new pilots with a simple and high quality drone that’s perfect for learning how to fly. 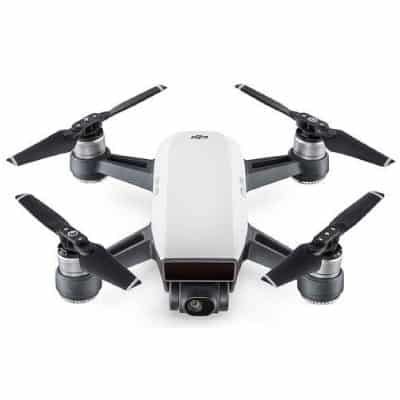 The DJI Spark offers pilots a 16-minute flight time and a maximum range of 2km. You should note that this range is only possible when using a controller and is dependant on what frequency you’re using. DJI have introduced some awesome new features with the Spark, such as the gesture mode. When you perform certain movements the drone is able to detect this and carry out tasks and manoeuvres, such as take a photo or move up and down. Of course, the Spark offers a well functioning follow me mode as well as other flight modes, including orbit and tap fly. One key return to home and auto take of and landing functions allow inexperienced pilots to get up in the sky and home again, without the stress of doing this themselves. The drone also comes with a forward facing obstacle avoidance sensor that makes the drone a lot less stressful to fly, as you don’t have to worry about flying straight into something. Its camera is able to shoot in 1080p at 30fps and comes attached to a 2-axis gimbal stabiliser that although isn’t as good as the 3-axis gimbals on other DJI models, still provides stable, usable footage. If you end up going for the DJI Spark, you should check out our article on the ​ best DJI Spark cases. Now moving onto the next quad copter on our list of the best drones with follow me, the Yuneec Typhoon H. Yuneec are a well known manufacturer of high quality drones and are famous for their exceptional customer care (something DJI unfortunately not). The Typhoon H comes with the typical auto take off/ landing and one key return to home functions that we’ve come to expect from this standard of quad copter. Its camera is able to shoot 4k at 30fps and take 12 megapixel photos. Its unique 3-axis gimbal allows the camera an unlimited 360-degree range of motion. This is great for filmmakers, as it allows them to smoothly rotate the camera without having to move the drone. The Typhoon comes with a series of intelligent flight modes enabled, consisting of orbit me, point of interest,cable cam and follow me. These features make the Typhoon H incredibly easy to fly and allow for cinematic footage to be captured easily. 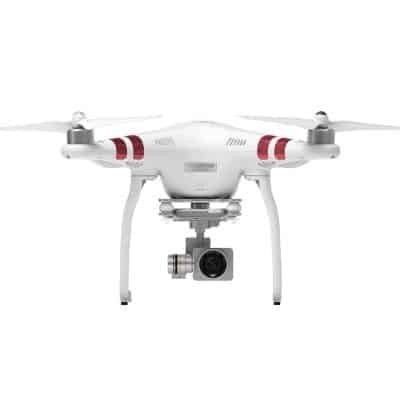 The DJI Phantom 3 standard is in my opinion the best value for money drone currently available. 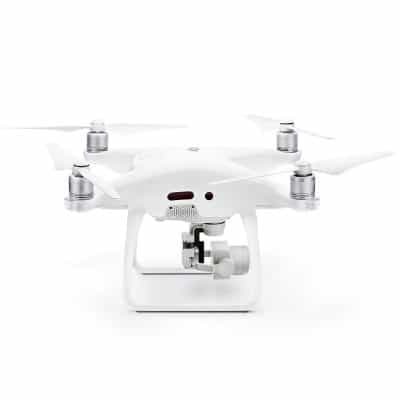 If you’re on a budget, but looking for a high quality drone with good specifications and features, the DJI Phantom 3 Standard is for you. It has a brilliant flight time of 25 minutes and a maximum range of 1km, which for the price you’re paying, is absolutely fantastic. The Phantoms camera is able to shoot in 2.7k at 30fps, 1080p at 60fps and take 12 megapixel photos. Its camera is mounted on a 3-axis gimbal mechanism, which as we discussed before, allows you to capture smooth looking footage. It comes armed with a number of autonomous flight modes including follow me, point of interest and waypoints. The Phantom 3 Standard is also able to perform one key return to home and auto take off/landing functions that make it perfect for a beginner. You get all of this for less than $500, what a bargain! Moving onto the next model on our list of the best drones with follow me, the 3DR Solo. This drone was promised to be super easy to fly whilst still delivering high quality, cinematic looking footage and 3DR certainly delivered. 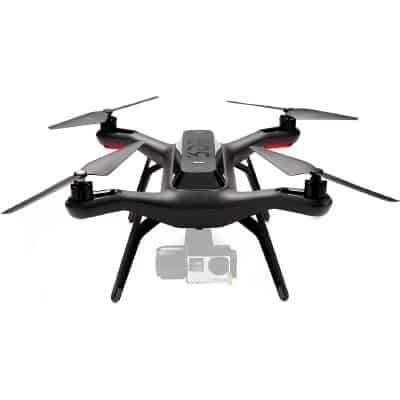 What’s great about this drone is that it’s experienced a pretty dramatic price drop over recent times and is now extremely affordable. The 3DR has a respectful flight time of 25 minutes and is able to cover a distance of up to 700 meters before losing signal. If the drone were to lose signal, it will automatically return to home. If you’re looking to record your flights, you’re going to have to attach a Go Pro to the drone. In fact 3DR actually worked alongside Go Pro when designing the mount so you know that it’s going to work well. The action camera is attached to the drone via a 3-axis gimbal stabilizer. The 3DR follow me mode works exceptional well and is accompanied by other autonomous flight modes such as orbit, cable cam and waypoints. Similarly, the drone is able to return to home at the push of a button and autonomously take off and land. 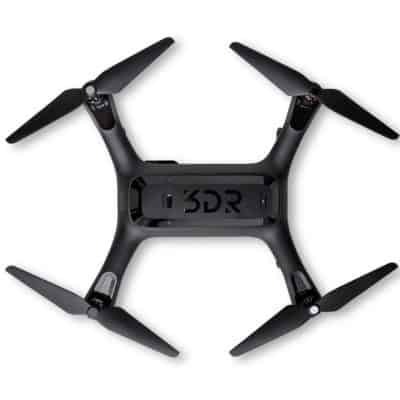 Overall the 3DR Solo provides an easy to fly solution for capturing high quality aerial footage. This makes it easily one of the best drones with follow me. 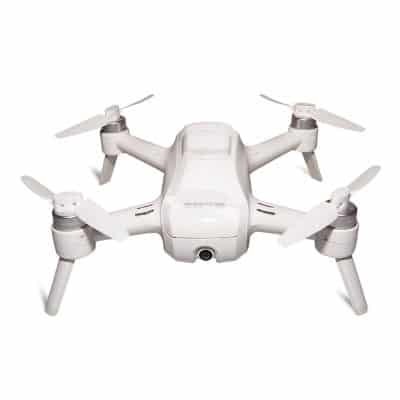 The Yuneec breeze is a compact drone designed for travellers who are on the go and looking to spectacularly capture the moment from the skies. The drone has a 12-minute flight time and when controlled via a smartphone has a maximum range of 100m. This isn’t too bad considering it is more of a selfie drone than a professional standard quad copter. Having said that, the Yuneec Breeze has 4k shooting capabilities and a 12-megapixel camera, so to be fair those are going to be some high quality selfies. 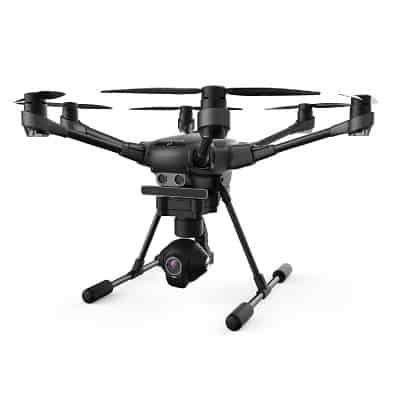 The Yuneec Breeze has all the tell tale features of a high quality quad copter, with auto take of/ landing, one key return to home, follow me, selfie and orbit. These functions are incredibly easy to use and result in some fantastic looking footage. It’s worth noting that the Breeze is controlled via a smartphone, meaning that you don’t need to bring a controller around with you. What’s also great about the Breeze is that it’s small enough to fit into a backpack and is extremely easy to get around. Unlike a lot of the drones on this list where you’re likely going to have to buy some form of specialised carrying case. Thanks for taking the time to read our article on the best drones with follow me; I hope that you’ve found it helpful.